The SATA Mode BIOS feature is similar to the SATA Operation Mode BIOS feature, but with different options available. It controls the SATA controller’s operating mode. When set to SATA or AHCI, the SATA controller enables its AHCI functionality. However, its RAID functions will be disabled and you won’t be able to access the RAID setup utility at boot time. You can find more information on AHCI in the SATA AHCI Mode BIOS feature. When set to RAID, the SATA controller enables both its RAID and AHCI functions. You will be allowed to access the RAID setup utility at boot time. When set to IDE, the SATA controller disables its RAID and AHCI functions and runs in the IDE emulation mode. You won’t have access to the RAID setup utility. If you intend to create or use a RAID array, you should set this BIOS feature to RAID. The BIOS will load the RAID setup utility which you can access at boot time. If you do not wish to create or use a RAID array but would like to make use of the SATA controller’s AHCI features, you should set this BIOS feature to SATA or AHCI. This skips the loading of the SATA controller’s RAID functions, which speeds up the boot process. 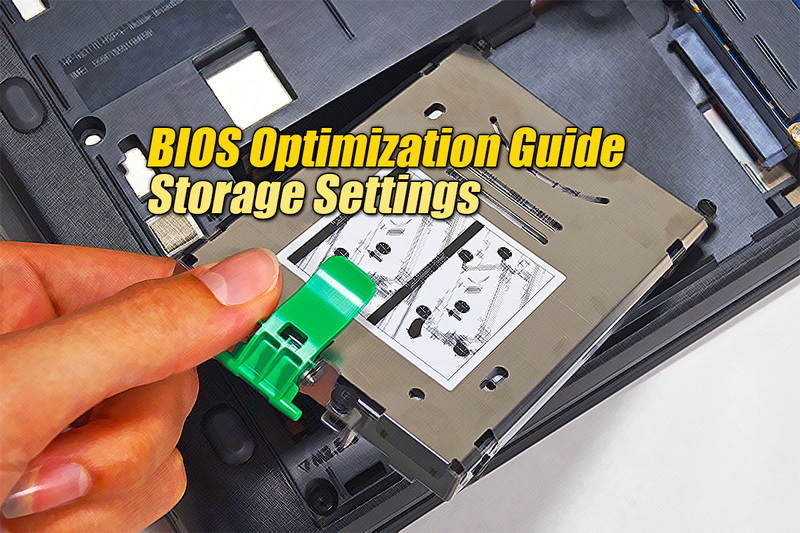 Even if you do not intend to use a RAID array, it is recommended that you set this BIOS feature to SATA or AHCI, even if you do not intend to use features like hot-plugging. This is because switching from the IDE emulation mode to AHCI mode is often problematic. On the other hand, the IDE mode allows for maximum compatibility with older hardware. Even with the proper SATA driver installed, it is possible for a system to crash while installing or booting up an operating system. Disabling this BIOS in such cases will normally resolve the issue. The SATA Mode BIOS feature is similar to the SATA Operation Mode BIOS feature, but with different options available. It controls the SATA controller’s operating mode. There are three available modes – IDE, SATA or AHCI and RAID. At this point, press the F6 key and insert the floppy disk containing the motherboard’s SATA controller driver. Once the driver is loaded, the Microsoft Windows XP installation will proceed as usual. This step is not required if the SATA controller is set to SATA or AHCI and the operating system has native support for AHCI. Even if you do not intend to use a RAID array, it is recommended that you set this BIOS feature to SATA or AHCI, even if you do not intend to use features like hot-plugging. This is because switching from the IDE emulation mode to AHCI mode is often problematic. For example, switching from IDE mode to AHCI after installing Microsoft Windows 7 in IDE mode will result in a Blue Screen Of Death (BSOD).